Gentle yoga provides seniors with safe, accessible, low-impact exercise. With aging seniors experience a reduction in flexibility, muscle tone and lung capacity. One of the more potentially dangerous problems that occurs is trouble with balancing, which can result in falls. 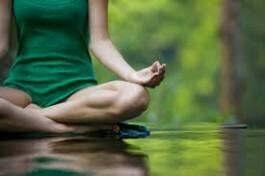 Yoga tends to address these issues in a well-rounded way using modified traditional yoga postures or asana, breathing and stretching techniques. Yoga can be adapted to make it accessible to people with physical limitations, including seniors. It can be practiced in a very slow and gentle way that is easy on the body and its joints. An older person or anyone with a limitation or injury can perform yoga asanas as the postures can be modified in many different ways. A lot of different researchers has been carried out on the positive effects of yoga for students of 65 and older. The findings have been that people aged 65 and over show improved balance and flexibility after six months in yoga. These yoga students also show improved “quality of life” measures, including a better sense of well-being, more energy and less fatigue. Another study carried out on students aged 65 and older in a 12-week yoga class found that the seniors were less fearful of falling, more flexible in their lower bodies, and better at maintaining balance. Improving balance in older students will help to avoid falls and this is a key goal. A regular yoga practice which includes balancing postures will improve balance over time and will increase confidence when out walking or when alone. The goal of a gentle yoga class isn’t to get students into perfect yoga poses. It’s about helping older students improve their quality of life and maintain independence; increasing range of motion in their joints, so they have more general mobility and can carry out every day tasks with greater ease and confidence. Yoga can benefit people with osteoporosis by helping them to build and maintain bone density by providing weight-bearing exercise. That exercise may be as simple as just standing on your feet in Tadasana. People with osteoporosis should exercise caution and avoid high-impact exercise and sudden, jerking movements. Those suffering with arthritis should move slowly and carefully. People with high blood pressure should avoid poses where their head is below their heart. Those experiencing vertigo can keep a hand on a chair or a wall. No matter your injury or physical limitation, inform your teacher about it prior to the start of class. Honor your body, and be gentle. For more information on Gentle Yoga classes at Douglas Yoga Centre, Cork click here.